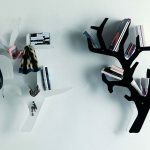 How to color your reading habit? 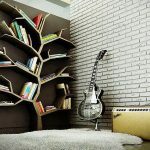 I think, many people agree that sometimes they need refreshing even to read. 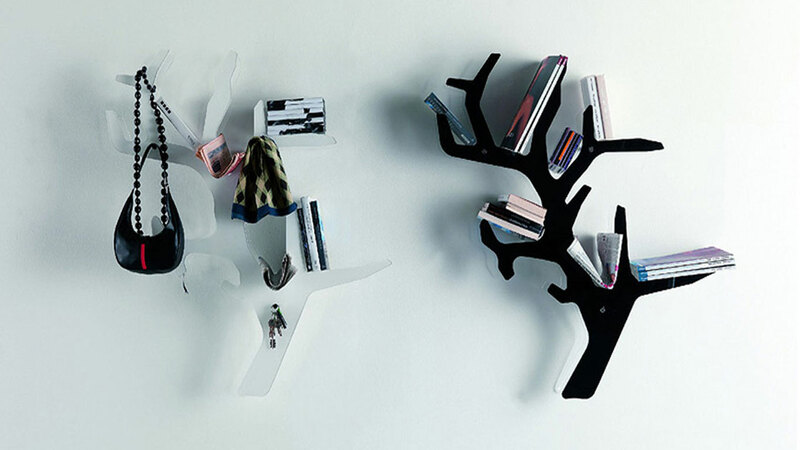 To always nerd inside the house is boring because the nuance is always the same. 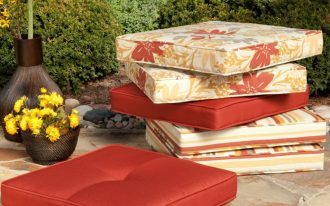 In addition, you may need fresh air and atmosphere just like what you have in a garden. 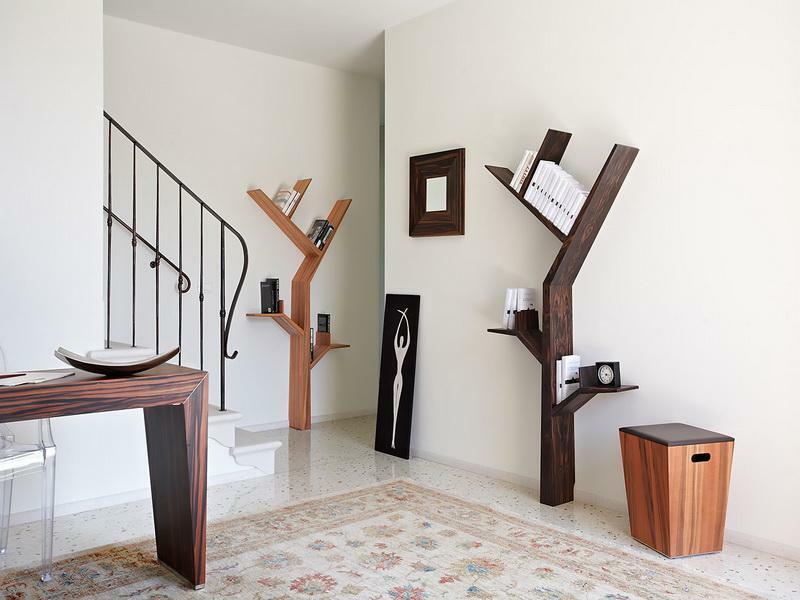 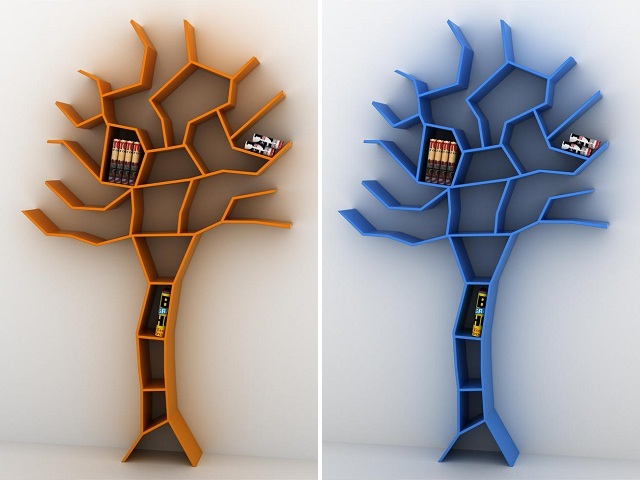 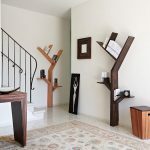 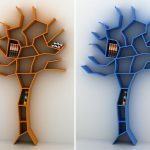 What if I offer you a nice design of tree shaped bookshelf? 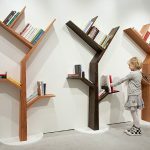 It will make you to feel reading beneath a shady tree! 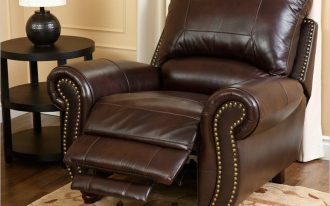 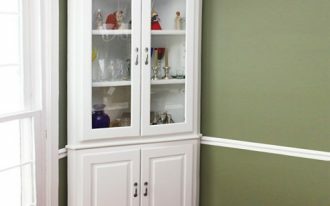 Do you have a media room? 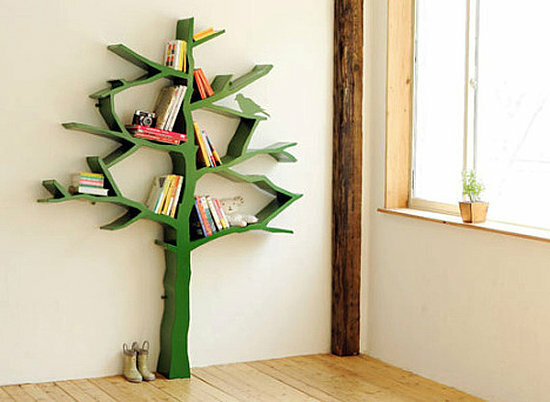 Then, it would be nicer if you add it with tree shaped bookshelf. 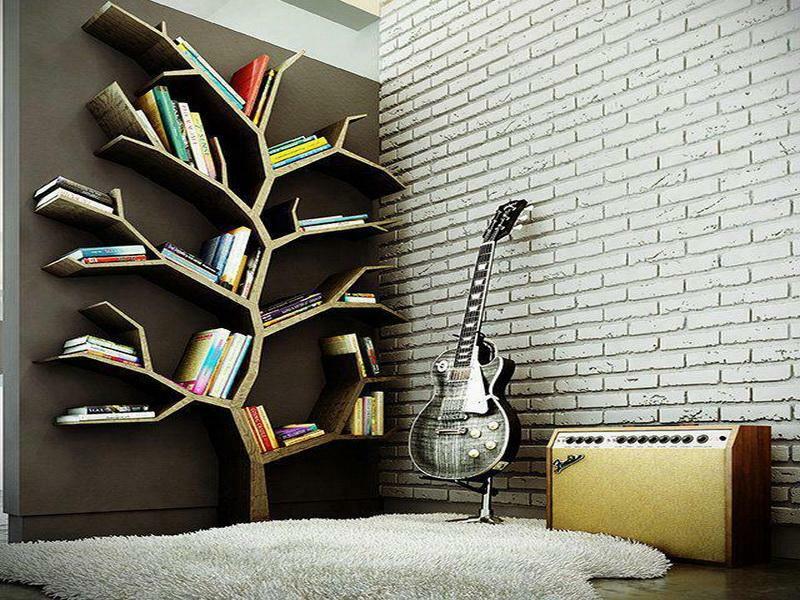 In addition, the white brick wall accent has already spruces the interior well, so the bookshelf is a wonderful addition that you can enjoy it after practicing your music hobby! 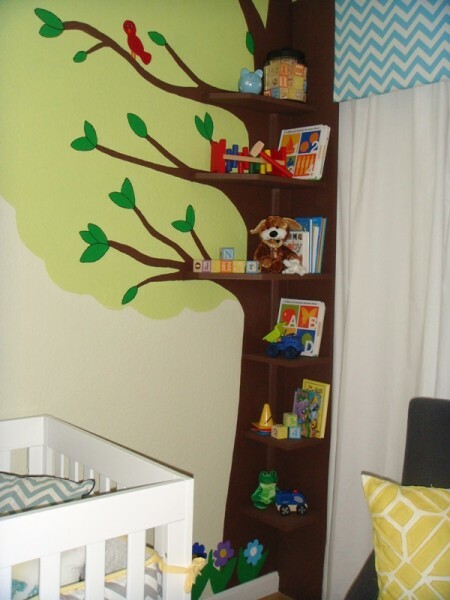 Further, even in a baby nursery, adding a bookshelf is also important. 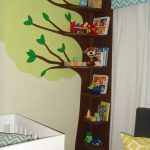 It raises the reading habit even from the very little age. 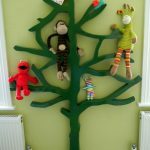 It is kind of introducing good habit to your baby. 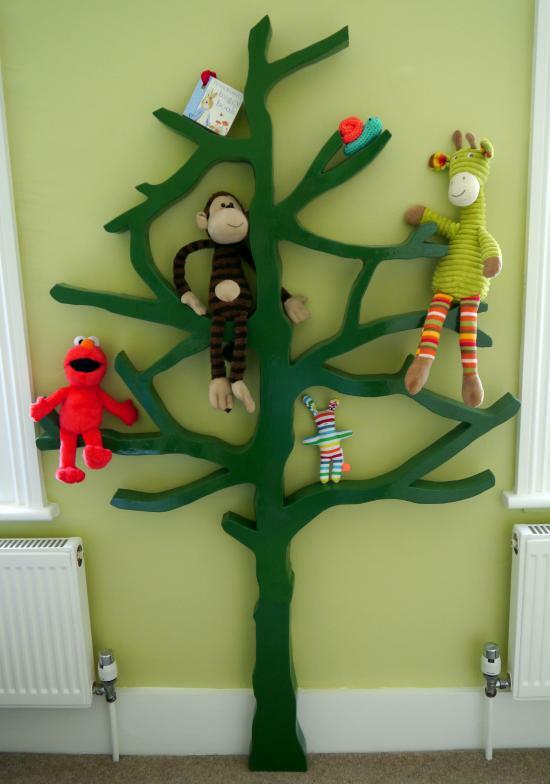 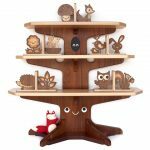 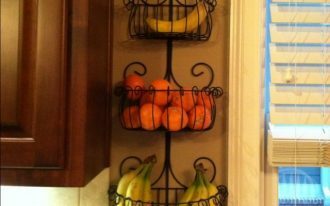 Appearing in brown wooden style, this shelf looks good with extended tree wallpaper completed with the monkey doll. 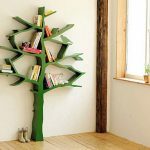 In addition, triple freestanding tree shaped bookshelves will make your hallways half like library. 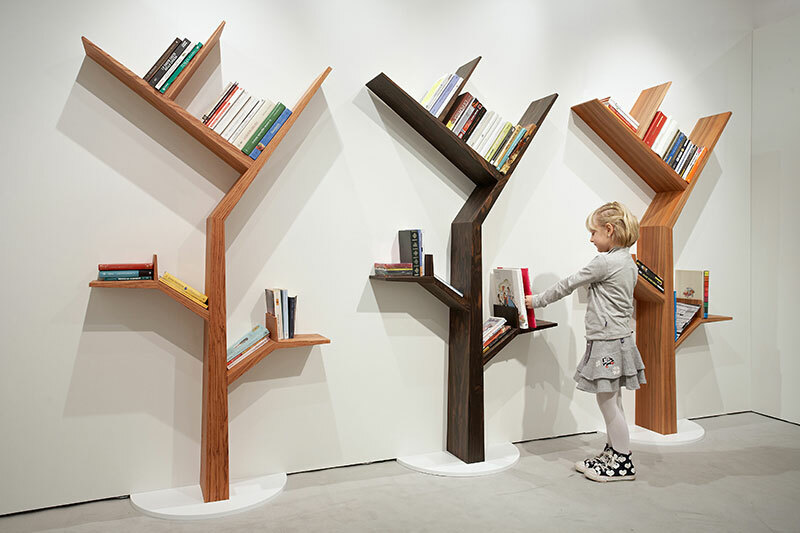 It breaks the stereotype that library is identical with strict and formal need. 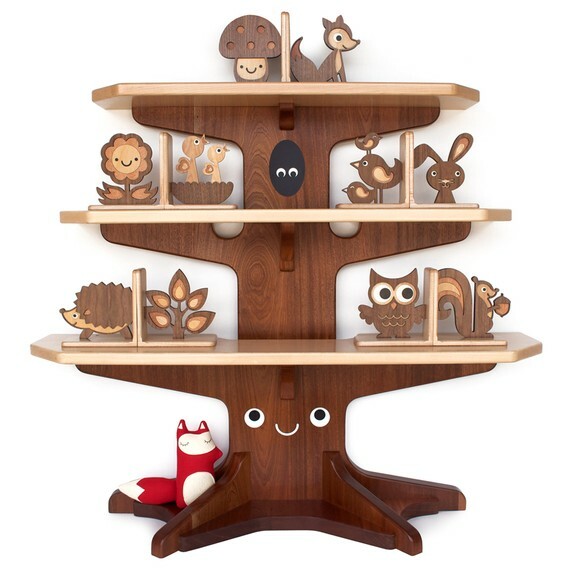 Now, you can have your unique, causal and adorable one in your house! 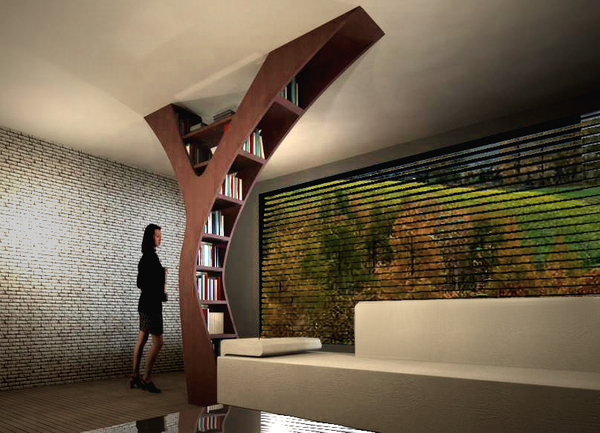 Not only for home need, tree shaped bookshelf is also gorgeous to invade a great office interior. 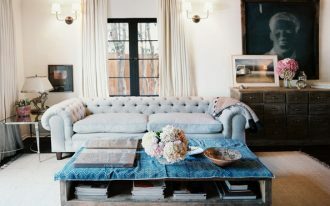 It smooths the whole nuance with casual look. 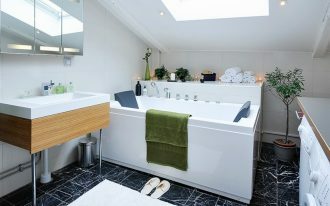 The giant shape is just suitable to fill the spacious interior. 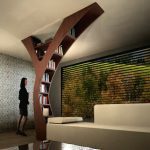 I will be comfortable to stay in an office like this!